The Corporate Affairs Commission (CAC) has announced that it has reduced the cost of business registration by 50 per cent. The fee was reduced from N10,000 to N5,000. The commission also disclosed that Name reservation shall cost N500 till March 31. In a statement via its Twitter handle on Thursday, the CAC said the offer would enable the public own corporate account with banks, have access to loans, grants, and other government interventions. 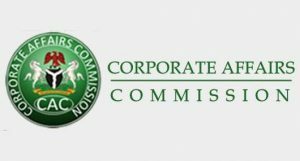 The Corporate Affairs Commission has extended the reduction of cost of Registration of Business Names from N10,000 to N5,000 in an effort to deepen the benefits of its reform initiatives. ”After the Name Reservation was reduced to N500, with effect from the 31st December 2018 to 31st March 2019. ”The aim of the Business Incentive Strategy is to create a window for Micro, Small and Medium Enterprises (MSMEs) to formalize their businesses, which will enable them own corporate account with Banks, have access to Loans, grants, and other government interventions.